An iconic American steakhouse with New Orleans flare, Ruth’s Chris has been welcoming steak enthusiasts in the Birmingham community for more than 20 years. From important business lunches and after-work networking events to festive dinner celebrations and fashionable cocktail parties, Ruth’s Chris in Birmingham offers the perfect venue for your group. Invite your guests to unwind with a selection from the award-winning wine list or a handcrafted, vintage-inspired cocktail. And after just one bite, your guests will undoubtedly understand why the Ruth’s Chris brand is synonymous with refined taste, exceptional service and top notch cuisine. 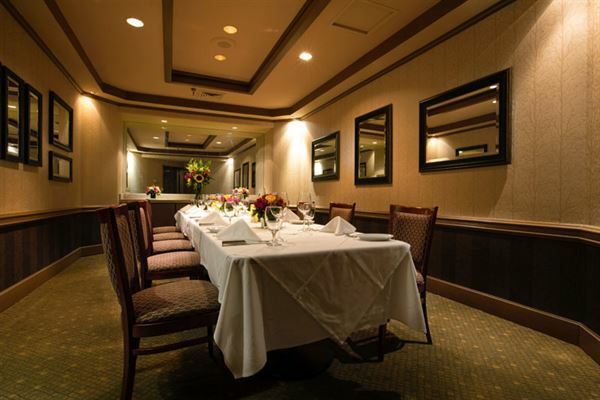 Ruth’s Chris in Birmingham boasts a variety of private and semi-private dining options for 10 to 300 guests and is conveniently located between Birmingham’s upscale Homewood and Mountain Brook neighborhoods, near Vulcan Park and Museum, St. Vincent’s Hospital and the Birmingham Zoo.